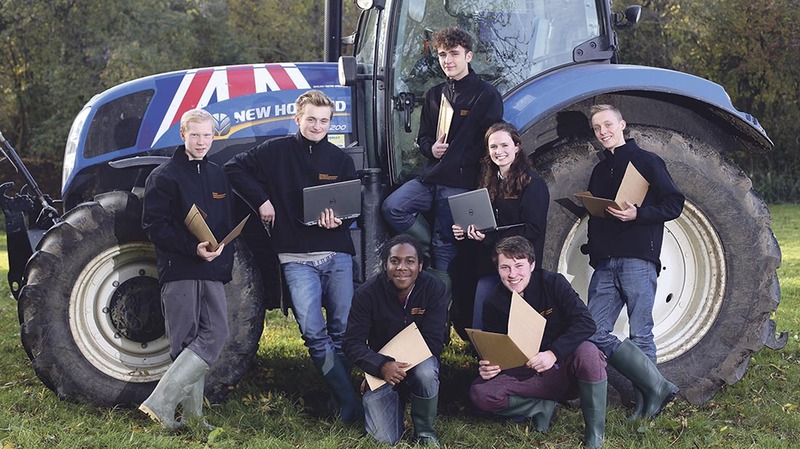 Sainsbury’s has unveiled its first crop of farming apprentices to boost what it believes is a chronic shortage of young farmers in Britain. Sainsbury’s has become the first retailer to launch an apprenticeship scheme for horticulture and agriculture. The first intake began their classes last week and will soon head back to the farms where they will be employed while learning for the next 20 months. One apprentice, 16-year-old James Colclough, Cheshire, aims to be the fourth generation of dairy farmers in his family and is serving his apprenticeship on his dad’s 200-hectare (500-acre) farm in Sandbach. The UK farming industry will need 60,000 new employees by 2020 just to replace retiring farmers, as fewer young people have entered the profession in recent years. Sainsbury’s has opened its apprenticeship scheme for young people in the UK aged 16 and over, letting them work with progressive food suppliers, using the latest innovations and technology in the sector. Every 12 weeks, the apprentices will visit other farms in the scheme to learn about different types of farming. The benefits of apprenticeships - is this the route for you?